So many of us are guilty of having our faces glued to our phones, tablets, or computers constantly checking one or all of our social media sites on a daily basis. 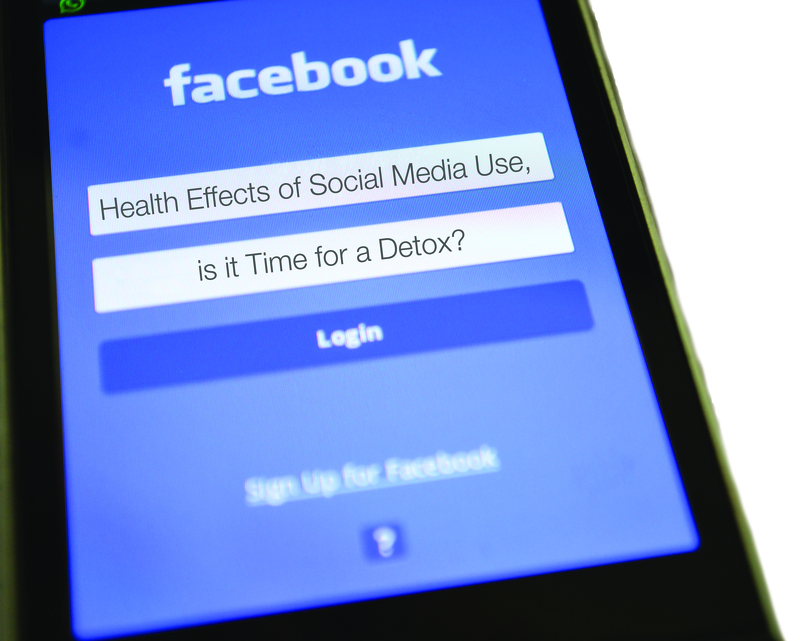 Yet, has it ever crossed your mind that this constant exposure to social media can be affecting your health? As a social media “guru” I don’t want to convince you that social media can be a health concern to you mentally and physically, I would be putting myself out of a job, but I want to let you know that it is ok to take a break and bring yourself back to the “real world” every once in awhile! Recently there have been studies that have linked social media use to depression, anxiety, and isolation. Users, both young and old, are viewing profiles and pages of certain people and breaking under the pressure of unattainable standards of beauty and success that they see on others pages. Although sites such as Facebook and Twitter are supposed to enhance our sense of connectedness with other people, research has found that they actually have the opposite effect; they render dedicated users lonelier and more isolated. Only using social media to connect to people lacks major elements of communication, such as eye contact, body language, the changes in voice, and physical touch. All these elements are key in human mental stability. Social Media can also affect our sleeping habits. A 2014 study of U.S. adults ages 19-32 found that the participants checked their preferred social media accounts for over an hour per day, on average, and about 30 times per week. 57% of these users reported sleep disturbances. Researchers suggested that the reason why social media users experience poor sleep include, that they feel compelled to be active on the site at all hours, including late night and the fact that exposure to bright screens before bedtime has been linked to disturbed sleep. Social Media can also affect productivity. Reports suggest that even when we are at work, we still succumb to the need to check out the newest “likes” and comments, although we know we are not supposed to. Employees spend an average of 2.35 hours per day, accessing their social media accounts in the workplace. This leads to multi-tasking between work and keeping up with comments and the newest posts. When one multitasks, you lose the ability to focus on any one task at a time. This causes tasks that would usually take 10 minutes to take much longer. Maybe, this is why it is sometimes difficult to meet deadlines. If you were not able to make it through reading this column without checking your social media sites, maybe it is time to take a detox. Give your self a few days or a week a month simply just to disconnect, you might be surprised with the result! Ashley Schultz has her Master’s in Public Relations from Full Sail University. She also has her Bachelor’s in Entertainment Business, and Associate’s in Show Production and Touring. She is a self proclaimed “geek” and “cat lover” and wouldn’t have it any other way! I started my Social Media Detox Sunday. I think of it as a summer vacation away from Social Media.